Home / Star Cards / Star Cards-Set 13-Totality! Images of the August 2017 total solar eclipse in a package of 6 blank note cards with envelopes. Each card with a different celestial photo. Size: 4 x 5.5 inches. 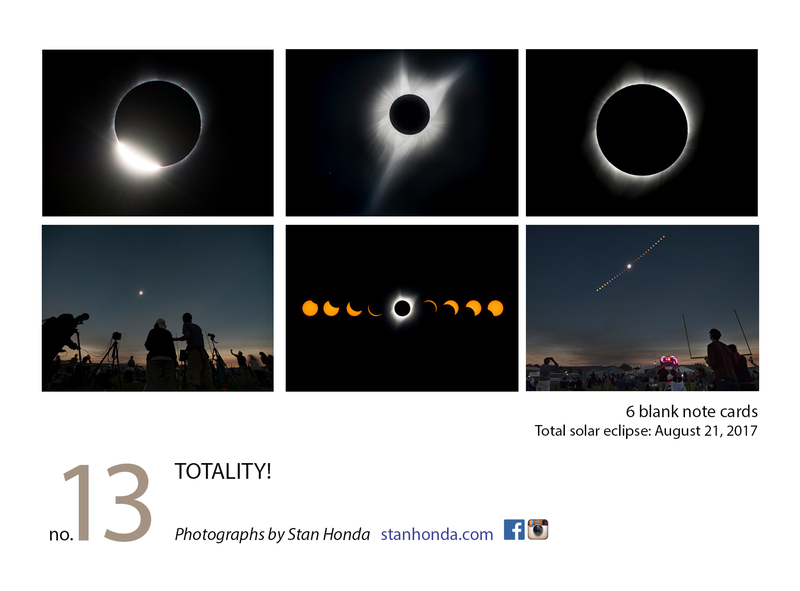 (Click to enlarge photo) Images of the August 2017 total solar eclipse on photographic quality note cards, 4 inches by 5.5 inches with envelopes.